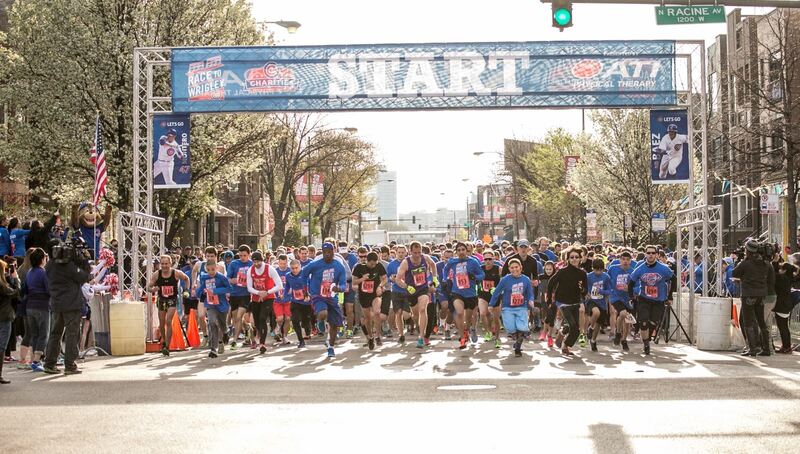 Step up to the plate for Chicago’s kids during the 14th Annual Race to Wrigley Charity Run presented by ATI Physical Therapy Saturday, April 27, at Wrigley Field. Runners will race through the Lakeview neighborhood before entering the Wrigley Field concourse and crossing the finish line just steps away from the Wrigley Field Marquee. Proceeds from this year’s race will benefit Cubs Charities' Diamond Project, which aims to expand baseball and softball opportunities for all Chicago children and youth by engaging kids with skilled coaches, quality programming and providing safe and accessible places to play the game. The first 50 people to fundraise $500 will receive a baseball autographed by a current Cubs player! When you run, your community wins! Thank you for your support.